It’s been just over six months since RT, the controversial Russian channel funded by the Kremlin, aired its first French broadcast from a sleek green-and-white studio in the outskirts of Paris. Despite what RT boss Margarita Simonyan claims is a “strong demand for an alternative perspective” among French-speaking audiences, RT’s launch on French airwaves has been anything but smooth. Now, a formal warning from France’s broadcasting authority and a new law cracking down on disinformation have poured cold water on the channel’s French ambitions. French lawmakers adopted the draft law in the night of 4 July after deliberating for eight hours. Several weeks earlier, a first heated debate in parliament had ended at 1am with the vote being postponed amid concern about potential infringements on freedom of expression. The bill will allow judges to remove or block content deemed to be “false” during a period of up to five weeks before elections. It will also force platforms such as Facebook and Twitter to disclose the source of funding for sponsored content, in an effort to fight what the text describes as “any attempt at destabilization” by foreign-funded organisations. The proposal was announced in January by President Emmanuel Macron, who famously accused RT and Sputnik of spreading “lying propaganda” during a press conference with Vladimir Putin last year. Macron’s government now routinely denies the two Russian outlets accreditation for covering official events. The bill could still be challenged by France’s Constitutional Council. Its approval in parliament comes just days after the French broadcasting regulator, the Conseil Supérieur de l’Audiovisuel (CSA), issued a warning to RT over a falsified report contesting the use of chemical weapons against Syrian civilians. The April report wrongly dubbed the voices of Syrian civilians, making them say things they didn’t say — a well-honed tactic on Russian state television. The report also included a number of factual distortions. In a statement on 28 June, the CSA accused RT of displaying a “lack of honesty, rigour, and diversity of points of view.” The regulator imposed no sanctions on RT over the incident, although it has the authority to fine a broadcaster or suspend its license. RT France denied any wrongdoing, claiming the mistranslation was due to a technical error. One day after the CSA’s warning, Russia’s own communications regulator, the state Roskomnadzor, accused French broadcaster France 24 of violating Russian law on foreign media ownership and threatened to revoke its Russian license. 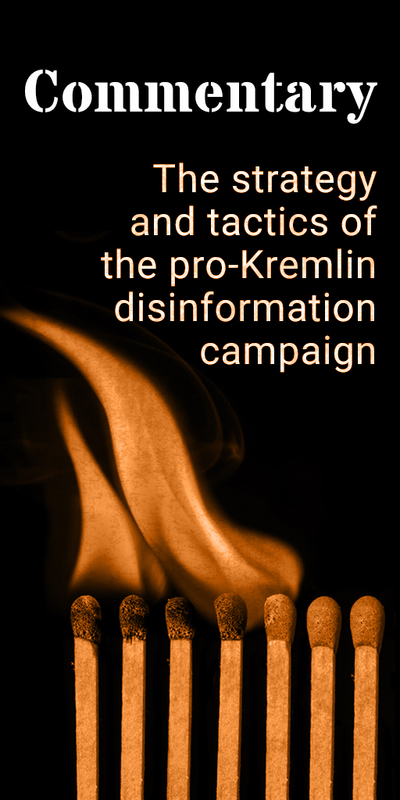 The anti-disinformation bill and the CSA’s warning against RT illustrate the broader dilemma faced by Western governments in handling Russian state-owned media that promote the Kremlin’s agenda while pouring scorn on the institutions and values of the Western world, often through distorted and false information. 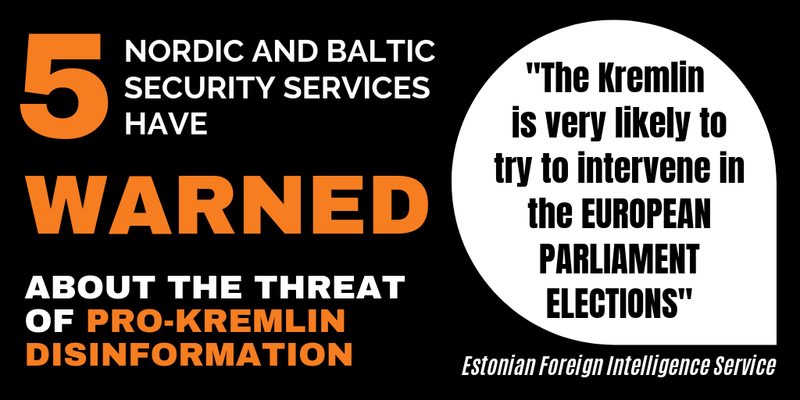 France is indeed not the only country grappling with the question of whether, and how to tackle pro-Kremlin disinformation. As RT and Sputnik seek to build their presence in Europe and the United States, a number of countries are divided between their wish to fight disinformation and their commitment to safeguarding freedom of speech. In Germany, a new law intended to curb fake news, hate speech, and online threats on social networks — where Russians bots and trolls are accused of trying to influence several Western elections — came into force last year despite criticism that it could lead to censorship. RT is in hot waters in Britain, whose media regulator is probing the channel over breaches of impartiality rules since the March poisoning of former Russian spy Sergei Skripal on British soil. The regulator has launched a total of 11 investigations into RT but has so far stopped short of forcing the channel off British airwaves. And in the United States, RT was forced to register as an agent of the Russian government after being accused by U.S. intelligence agencies of spreading anti-American propaganda. Its accreditation to cover Congress was subsequently revoked. The Russian state network, however, is viewed with scepticism in France, a country that prides itself on having a strong tradition of independent journalism. Another reason for this scepticism is the French president’s open war on pro-Kremlin disinformation. Before denouncing RT and Sputnik as liars and “agents of propaganda,” Macron had banned them from his headquarters during his 2017 presidential campaign. The two outlets were accused of spreading lies about him, including allegations of an extra-marital gay relationship. Understandably, RT’s début on French airwaves received a rather chilly welcome. Despite its comfortable 20-million-euro budget and its announced plans to hire 150 people, including 50 journalists, French media reported that RT was having difficulty recruiting any prominent journalists in France. 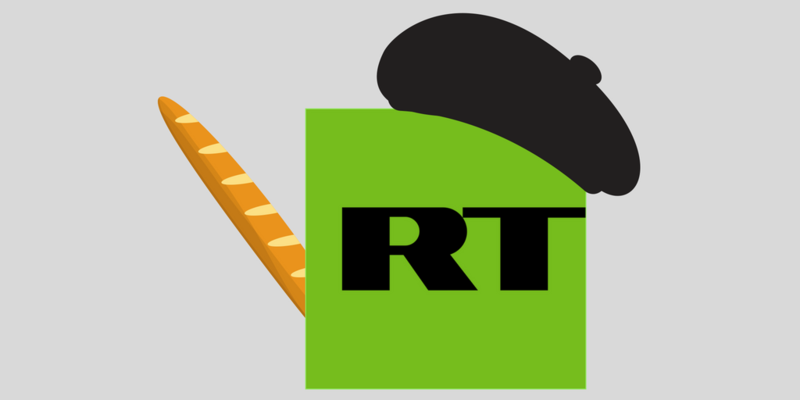 In the months that preceded the launch of RT France, a string of French journalists and public figures had expressed concern about the channel’s arrival in their country. In line with French law, RT France was also asked to put together a five-person “ethics committee” to monitor its content and report any violations of journalistic principles to the CSA. The committee is composed of former diplomat Anne Gazeau-Secret, journalists Jacques-Marie Bourget and Majed Nehmé, Radio France’s ex-president Jean-Luc Hees, and Thierry Marianni, a former senator and fervent admirer of Vladimir Putin who paid a controversial visit to Crimea in 2015 following its illegal annexation by Russia. Probably mindful of the sharp public scrutiny, RT France had so far steered clear of the cruder disinformation it is known for peddling elsewhere. The network also broadcasts in English, Spanish, and Arabic, and it has announced plans to open a German-language channel. Its French programming mostly stuck to RT’s usual cocktail of slanted news about the Syrian war, sensationalist reports on crises in the EU, and Russian news extolling the virtues of Vladimir Putin. Despite the CSA’s watchful eye, it took just four months for RT France to commit its first major slip-up and receive a warning. The Russian network is no stranger to controversy; to a certain extent, it thrives on it. In France, like in other countries where it is implanted, RT has consistently played the victim and brushed off any criticism as part of a repression campaign it claims is being waged against the channel. But with the new anti-disinformation bill gaining ground and the CSA ruthlessly picking through its programmes, France is giving RT more trouble than it bargained for. RT France director Xenia Fedorova certainly seems to be bracing for the worst. “I’m responsible for the staff I hired, I want to protect them,” she lamented in a recent interview.